Baskin Robbins Ice Cream Restaurants Chains Update: Baskin-Robbins, the world’s most known ice cream chain, has announced that it has signed a master licensing agreement with AHG Flavours (Pvt) Limited and aims to set up 35 Baskin-Robbins shops across Pakistan, with Lahore being the main focal priority. AHG Flavours CEO Harris Mustafa, an industry veteran, welcomed Baskin Robbins Ice Cream Restaurants Chains in Pakistan in his classic boldness, “Abhi to party shuru hoi hai,” meaning the party has just started. Baskin Robbins Ice Cream Restaurants Chains in Pakistan will feature the brand’s extensive selection of classic ice cream flavours, including Pralines n’ Cream, JamocaTM Almond Fudge, Mint Chocolate Chip and Very Berry Strawberry, alongside regional favourites such as Mango Tango and Tiramisu. 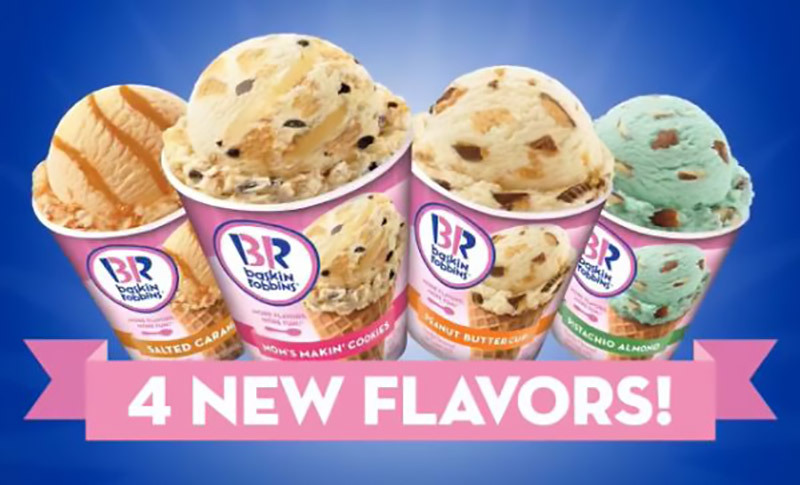 Baskin Robbins Ice Cream Restaurants Chains will also offer its delicious range of custom ice cream cakes, frozen beverages, ice cream sundaes and take-home ice cream treats. “We are pleased to be collaborating with Irfan, Harris and their team to begin developing the Baskin-Robbins brand in Pakistan by bringing our wide range of delicious ice cream flavours, cakes and other treats to Pakistani customers,” said Dunkin’ Brands International Vice President John Varughese. Nearly three-quarters of a century ago, two brothers-in-law shared a dream to create an innovative ice cream store that would be a neighborhood gathering place for families. Burton “Burt” Baskin and Irvine “Irv” Robbins had a mutual love of old-fashioned ice cream and the desire to provide customers a variety of flavors made with ingredients of the highest quality in a fun, inviting atmosphere. As the number of stores grew, Burt and Irv recognized that to maintain the high standards they set in the beginning, each store would require a manager who had an ownership interest in its overall operation. Even though they didn’t realize it at the time, the two founders had pioneered the concept of franchising in the ice cream industry.In 1949, there were more than 40 stores in Southern California when Burt and Irv purchased their first dairy in Burbank. 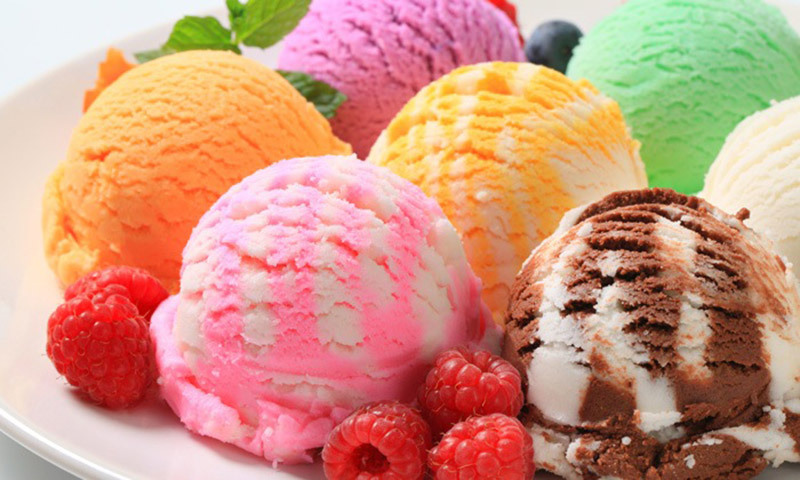 This business decision allowed them to have complete control over the production of their ice cream, and the development of new ingredients and flavors. It wasn’t until 1953 that the ice cream chain dropped the separate identities of Snowbird and Burton’s and became Baskin-Robbins. A local advertising agency, Carson/Roberts, advised a uniform identity and image under the name Baskin-Robbins 31 Ice Cream. Their recommendations included the “31®” logo to represent a flavor for every day of the month, Cherry (pink) and Chocolate (brown) polka dots to be reminiscent of clowns, carnivals and fun and lastly, the use of cartoons to bring their flavors alive with personality to graphically highlight the name and delicious ingredients. 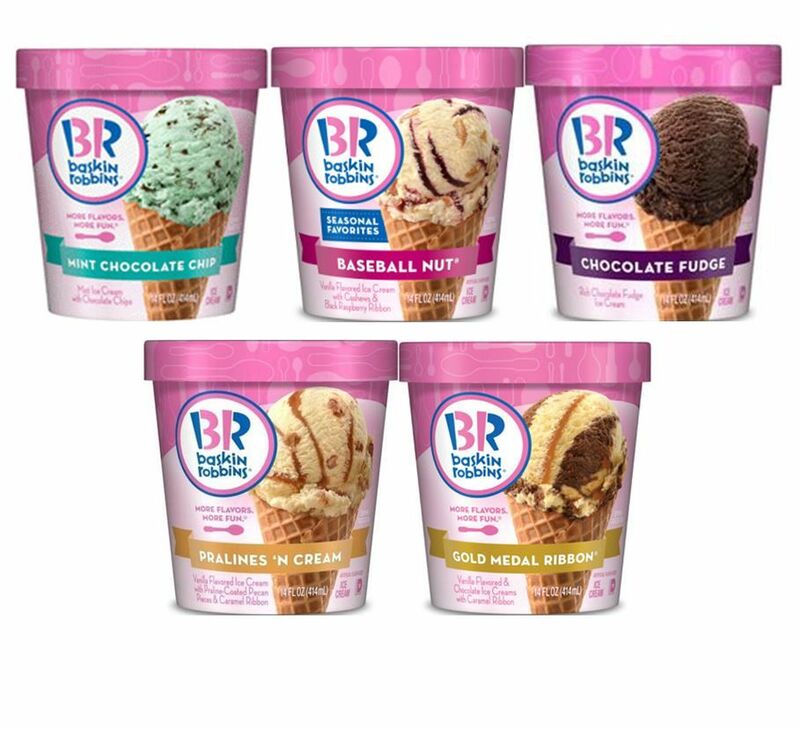 With this over-arching branding, Baskin-Robbins’ iconic pink spoons were created with the belief that people should be able to try any of their many flavors without cost.